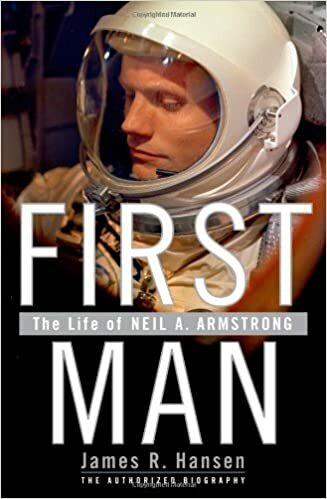 The First Man | What's Best Audio and Video Forum. The Best High End Audio Forum on the planet! Damien Chazelle is a young gifted director and I have to say that some of his scenes put me as close to space travel as I will ever be. I felt Claire Foy was good but her English accent shined through all to frequentlybreviated version of the story. The film IMO was about 20 minutes too long yet it took that long to tell an abbreviated version of the story. How did it compare to Gravity? The movie notwithstanding, the fact that the mission was successful is absolutely mind blowing, particularly given the state of computer technology at the time. I was a scientific computer programmer At McDonnell Aircraft (St. Louis) during this time period. We worked on NASA's Gemini program and I was involved in running many of the flight simulation programs. This was before the days of disc based computers so all I/O was on magnetic tape. Because computer speed was not NEARLY what it is today, the simulation package took about 14+ hours to run --- BUT, the computers (all IBM) were not always reliable enough to stay running that long so we used the tapes for re-start points. That way, when (not if) a crash occurred, the simulation did not need to start at the beginning. These were the days when computers the size of small buildings. But SOMEHOW, the scientists/engineers were able to build smaller computer modules to work in the space crafts and, apparently, be reliable enough to work for as long as they did. It was also space exploration that forced the search for miniaturization of electronics. So the phone, watch, iPad and laptop that you carry around are ALL byproducts of space exploration. So, thank you, John F. Kennedy, the astronauts who were gutsy enough to take the trips and the scientists who made it all work!! I do look forward to seeing this film. As I said earlier there were scenes from Armstrong in a Gemini mission which truly was a real as it gets. there was no American flag as you stated. I really enjoyed this movie. I followed the space program closely when I was a kid in the 60's so it was interesting to see some of the inside story. Can't imagine spending days in space in one of those tiny capsules. Those astronauts were beyond courageous. I found it interesting that the conservative media made a big deal about the US flag in the movie. The US flag appeared many times during the film and it was obvious that the moon landing was financed and accomplished by Americans. There was no attempt to denigrate the United States. It was pretty hard to miss the giant letters spelling UNITED STATES along the massive length of the Saturn rocket when it was launched. The moon landing was an American accomplishment but it was also an event celebrated around the world as an accomplishment for all mankind - as it should have been. It was also a massive propaganda victory over the Soviet Union and that was presented in the movie as well. As I recall, the man who was a leader in development for the US space program, Werher von Braun, was a German who had worked on Hitler's rocket program.. He wasn't highlighted in the movie nor were the over 1500 German scientists and technicians who worked in the US space program. Without their knowledge the US space program would not have developed as it did. Von Braun did eventually become a US citizen. If we are going to start flag waving let's at least be honest about it. The Apolo program was the great achievement of the Nazi missile scientists. Von Braun should have been hung at Neurenburg with the rest of the Nazi leadership. More people died making the V2 rockets due to slave labor than were killed by them. I thought the movie was excellent! Jeff, I agree. I think it is historically accurate that the USA spirited away a lot of Nazi scientists, so that we had them, and so that the Russians did not have them. Agreed. It is amazing that the Soviets beat us into space. I'll have to reasearch how they were able to acheive those accomplishments without the SS members from Peenemünde. The Soviets had German scientists working for them, too. They moved about 2,000 of them to the Soviet Union in 1946. The relocation was not voluntary. No they had a choice. Bullet to the head or move to the Soviet Union, not an easy choice.